Lessons from the past | LiCCo. We have lived by the sea for thousands of years, in doing so we have learned of its beauty and its potentially destructive power. Today we use coastal defences like embankments and sea walls to try to hold back the power of the ocean. However, with predicted sea level rise and more frequent and extreme weather events, learning how best to adapt our communities to these changes will be more important than ever. The LiCCo project builds upon those lessons learned from the successes and experience of other local and European coastal management projects. 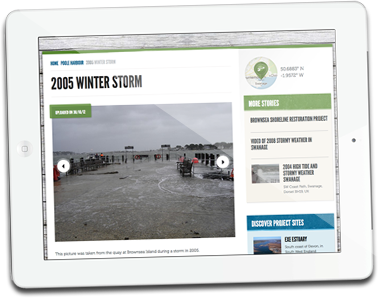 In turn, we want to share what we discover with others to improve the journey of working together to manage the process of coastal change for all those involved. Here you can find out what the study sites looked like in the past and just how much or how little how they have changed over the years. Natural processes and human intervention have all affected the shape of our coastline and will continue to do so. In some cases a past image may provide a clue to what the site could look like in the future, as a result of climate change impacts or a change in management. The first part of this report focuses on stakeholder engagement approaches and tools, the second half on development of coastal monitoring tools.